Our extreme weather Dog Coats are made with 200g Thinsulate insulation which is sandwiched between a durable waterproof rip-stop nylon fabric. 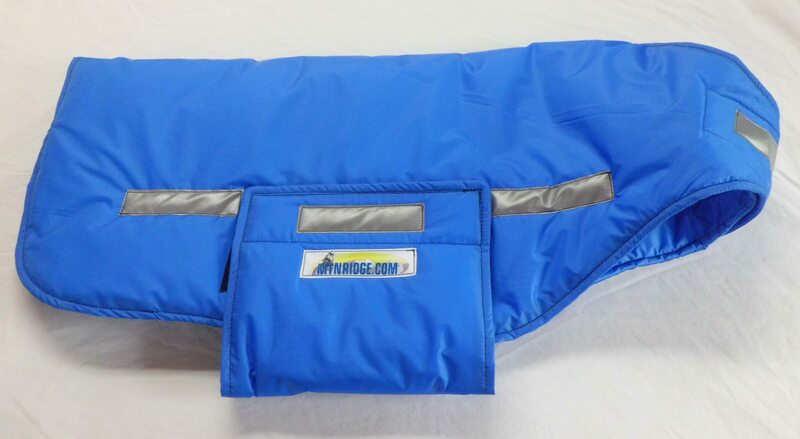 The seams are top stitched for durability, the neck has a Velcro closure for easy on and off in the checkpoint or in the line on the trail, the belly band attaches with Velcro on both sides and is 8 inches wide for maximum coverage and can be angled for male protection, the male protector seen with the wind coat can be used with this coat as well, see options when adding to the cart. There is 28 inches of 3M Reflective tape located on both sides of coat, both sides of the belly band and at the front for great visibility, as well as a strap at the tail to run a tug rope through. These coats are light, quiet and compressible for easy storage in a sled bag or back pack. 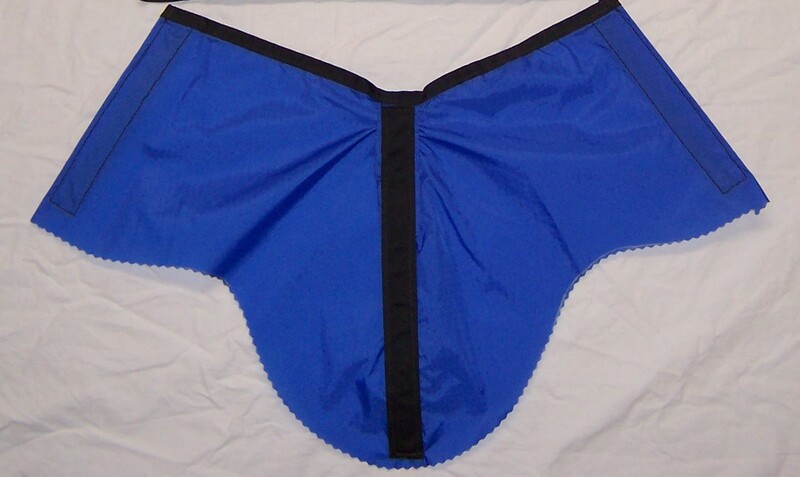 Though we stock the coat in royal blue the fabric comes in a variety of colors so inquiries are welcome.